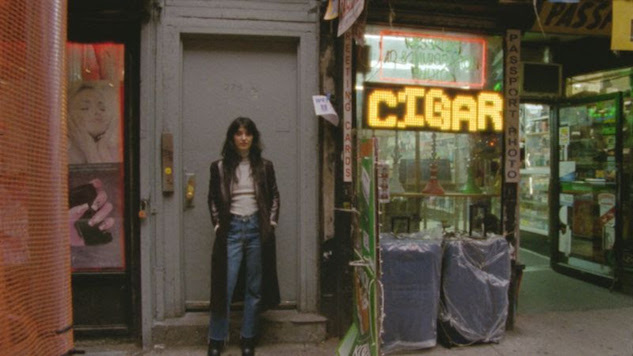 Sharon Van Etten Shares Video for New Song "Seventeen"
Sharon Van Etten’s new album, Remind Me Tomorrow, is almost here. Her first LP since 2014’s Are We There, it’s out Friday, Jan. 18, on Jagjaguwar. Today (Jan. 8), the singer/songwriter-turned-rockstar shared the third single from the album, “Seventeen,” and an accompanying video directed by Maureen Towey, which you can watch below. The intensity of “Seventeen” matches that of the two previously released singles, “Comeback Kid” and “Jupiter 4.” We’ve always counted on Van Etten to bring excellent lyrics and brooding melodies to the table, but we’ve never heard her like this—emboldened and chasing a darker, more driving strand of rock ‘n’ roll. “Seventeen” is almost Springsteen-esque in its grandiosity and nostalgia, though it’s more charged. The track’s companion video is, as Van Etten put it in a tweet, a “love letter” to New York City. In the clip, Van Etten chases a perfectly cast “shadow” of her former self (seriously—it’s eerie how similar these two look) around NYC, reckoning with her past and remembering when “she used to be 17.” The video is sentimental, but Van Etten is skeptical of youth’s glow, too: “I used to feel free, or was it just a dream?” she sings. Sharon wanted to use this video to create a love letter to New York, her home for the last 15 years. She showed us around all her old haunts — the places that made her the musician that she is today. Some of these spots are still around, some are just empty lots now. We took an eye toward the city that was both tender and tough, trying to find the ways that a beautiful city can fall apart while still nurturing the hopes of a young artist. Again, you can watch the video for “Seventeen” below. While you’re at it, listen to Sharon Van Etten’s 2010 Daytrotter Session further down.